The Chad Valley Designafriend Best Friend Dolls Meredith and Aaliyah are without question best friends forever! These BFF's love to do absolutely everything as a pair and always try to co-ordinate their clothing. 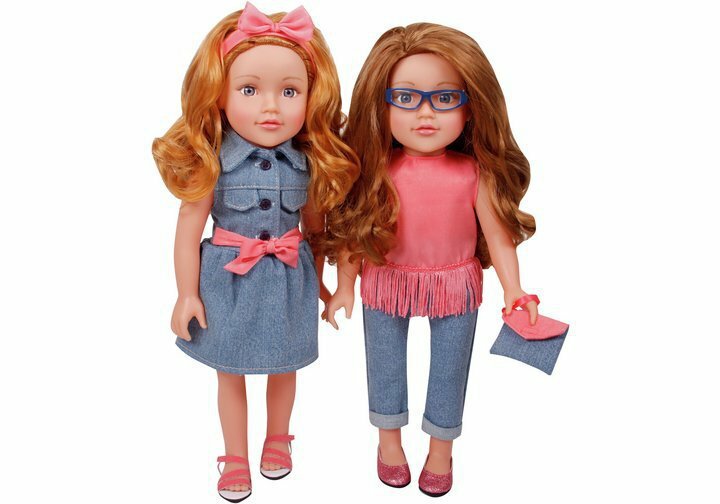 Dressed wearing matching casual outfits, with absolutely lovely BFF heart shaped necklaces the Chad Valley Designafriend Meredith and Aaliyah Dolls are sure to be a big hit with your little one and her growing Designafriend doll collection. As you'd come to expect, these dolls are packaged beautifully in a pretty boutique style gift box with soft tissue paper. Get money off with April 2019 free Argos voucher codes, see if there's a promo code for the Chad Valley Designafriend Best Friend Dolls product. Argos may be out of stock of this product. To enhance your shopping experience you may also be redirected to a search results page when you click an outbound link.